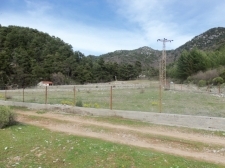 We have suitably priced Land in Fethiye for sale with planning permission to build houses. 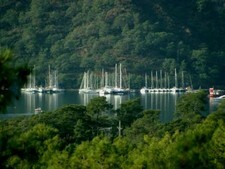 Call Place Overseas + 44 (0) 20 8371 0059 for plots of land for sale in Fethiye. 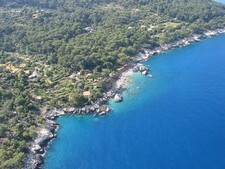 Land in Fethiye and Fethiye plots for sale are common queries we receive from our clients. Generally speaking potential land buyers in Turkey seem to think that purchasing land in Turkey and building your own property may be more economical than buying a new build or resale home. This is not necessarily the case, especially for popular areas such as Fethiye land for sale. We can most certainly help, no problem there, that is indeed what we do, we buy and sell land in Fethiye. As a matter of fact our office in Fethiye has a specialist land department. As far as Ovacik, Hisaronu, Calis and Uzumlu areas are concerned we can advise you exactly how many parcels of land are available, their sizes, their planning status, all you need to know, for we have access to Municipality maps. We know owners of each plot of land for sale in Fethiye and we know how much they would sell them for. However, what we would like to advise you is as follows - based on our very own experiences, we are currently building 7 villas in Hisaronu and Ovacik areas and purchased 3 parcels in the last 6 months after investigating each and every land parcel in Fethiye Ovacik and Hisaronu districts. 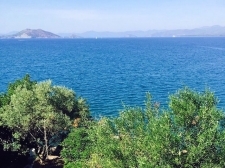 Decent plots with good views are priced no less than GBP 80,000 in Fethiye Hisaronu type area for say 750m2, which is a good size. Average plot size for building a house in Fethiye is 500m2, so you are looking at 50% larger than average building plot. 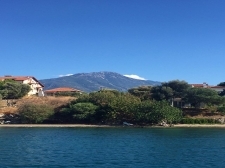 Clearly you will want to have IMAR (planning permission for the land in Fethiye you are buying) for otherwise it would be too costly and time consuming. When your base cost is min GBP 80,000, then a 150m2 three bedroom villa will cost you no less than say another GBP 80,000 to build. And this is a builder’s cost. You will be charged around 30% mark up as lowest. This will give you Fethiye land cost + build cost, a total cost of around GBP 180,000 at today’s rates and prices. You can reduce this cost a little by compromising on quality, size of land in Fethiye and its location. No matter what you do though in that area your minimum cost will be GBP 150,000 to build a quality villa on a good size land in Fethiye. 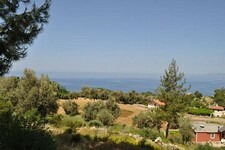 In Hisaronu, Ovacik areas, there are several very nice villas available for sale as resale offers well under GBP 150,000. These are villas built say 5-6 years ago, when say the plot mentioned above would have cost no more than GBP 40,000 (land costs in Fethiye shot up in the last 5 years as there are less and less plots available with permits to build) and build costs would be lower as well. In other words, your target villa would cost around GBP 80,000 with Fethiye land + build included.